I like taking good pictures of good food. Food tastes better when it looks good. This is a selection of meals from the lunch set menu from Siam Central, Charlotte Street. I was eating here after jummah (masjid on same Street) and was eating outside. It was funny to see the amount of people who’s eyes lit up as they walked past including one man who didn’t realise he said “dam” when he saw my chicken wings. He was right they were yum. 2 courses cost £8.50 and 3 courses £10.50 with a large range of options. I went for chicken wings and the mussaman curry. Good portion size for lunch and good flavour. The chicken pieces were leg and thigh which taste so much better than breast. But the highlight were the Corn Cakes. Just amazing. So simple but one of the best things I’ve ate this year! I can’t believe that i have forgotten to review this place, working on Charlotte Street i am spoilt for choice for lunch and Dinner after work. I came here for lunch with a friend, they have great value 3 course menu for £10. 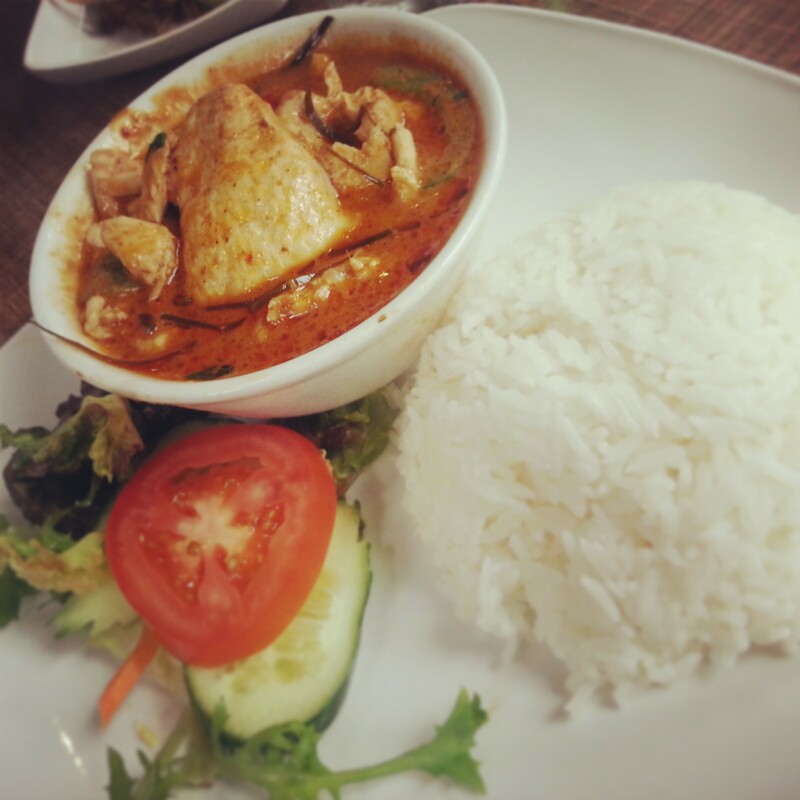 I have had other mains from here, for purposes of this review i’ll be talking about the Red Curry and the Panang Curry, both are my Thai Curry food of choice. Im a fan of well cooked Coconut based curries the Panang curry here is very good, definitely one of the better Thai curries i have tried, and much better than Thai Metro down the road. Also, i have verbal confirmation that the Chicken and Beef are Halal so thats a win! There deserts are also lush, Banana Frits are my favs. So if you are looking for a simple Thai place then i recommend this place, Its Idea for lunch and catch up with a small group of friends, there is a downstairs area as the restaurant looks deceptively small from the outside. Service and Staff were pleasant. Hey Buddy!, I found this information for you: "Siam Central". Here is the website link: http://halalfoodguy.co.uk/siam-central/. Thank you.